The Board of Directors of SAES, holded the 5th of March, has agreed on the CEO’s cessation and on the current president, D. Alfredo Gordo Álvarez, taking over the managing functions of the company. 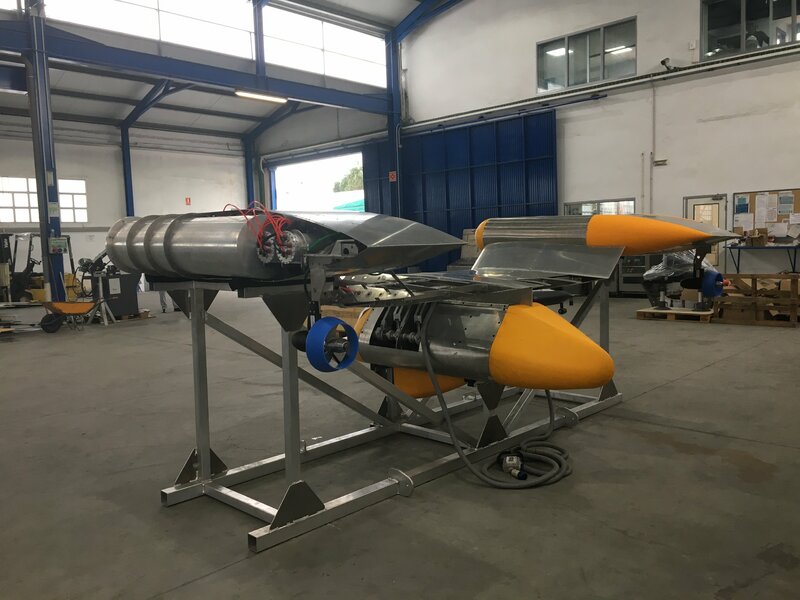 OCEAN MASTER project for the development of a multi-role unmanned vehicle nominated for FINE Awards. OCEAN MASTER has been developed by the consortium formed by ELINCO, AISTER, GHENOVA, AID and SAES. It is designed to be adapted to all types of naval platforms by an own deployment and transport system. The “Ocean Master” project has been a finalist in the category “Outstanding maritime engineering project”. In this category the following criteria are taken into account: innovative construction, design and materials, improvements and benefits originated, as well as the value for both the society and the maritime industry. Navantia also has participated as an observer of the project as interested in the results and technology. The awards will be given on February 12 in Bilbao, during the World Maritime Week, in which SAES is an exhibitor. Main managers and personalities of the sector (ship owners, shipyards, institutions, associations, auxiliary industry, etc.) will attend to the awards ceremony. In addition, the event has support of Navalia, Sinaval, Cepesca, Spanish Maritime Cluster, Association of Naval and Oceanic Engineers of Spain and Anave. OCEAN MASTER project (Multi-purpose Autonomous Vehicle for different environments and roles). The OCEAN MASTER project is focused on the development of a multi-mission unmanned vehicle. It has modular configuration and capacity to carry out missions in highly complex and demanding environments. This vehicle is conceived to be adapted to all kind of naval platforms by means an own deployment-and-transport system. SAES’ participation in OCEAN MASTER centers in two aspects: the payload of the vehicle and the acoustic communications between vehicles or between a vehicle and surface. A Side Scan Sonar (SSS) is included into the vehicle as payload in order to perform bottom surveys and surveillance of channels and harbour accesses. Also a Diver Detection Sonar (DDS) is included to detect both divers and objects in underwater. As communication system, an acoustic data link is used to allow the interchange of commands and data. Security solutions and underwater measurement. SAES will have a stand (D21) in the exhibition area of ​​the World Maritime Week exhibition. It will be exhibited a model of the DDS-03 diver detection sonar for protection of critical infrastructures and ships. Likewise, it will also show a model of the SDH intelligent digital hydrophone. The SDH is used for acoustic underwater measurements. It is especially useful for the verification of environmental requirements regarding acoustic emissions. OCEAN MASTER has been selected in the FEDER Innterconecta 2015 call. It is co-funded by CDTI (Ministry of Economy and Competitiveness) and FEDER funds, throughout the Operational Programme for Smart Growth 2014-2020. It is developed in the regions of: Andalucia, Galicia, Madrid and Murcia. The end of the project is scheduled for Mars 2018. Its overall budget is of 2.138.782 €.